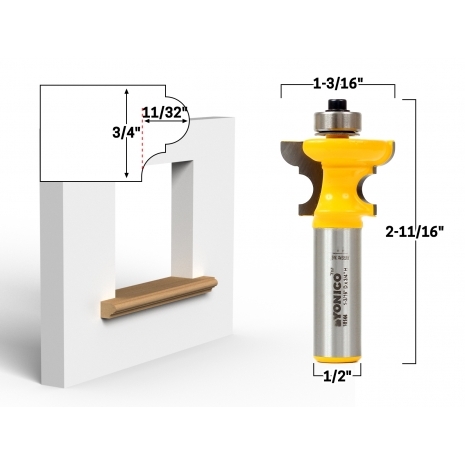 This window stool router bit will cut stock up to 3/4" thick and 11/32" deep. The fillet is 3/32". 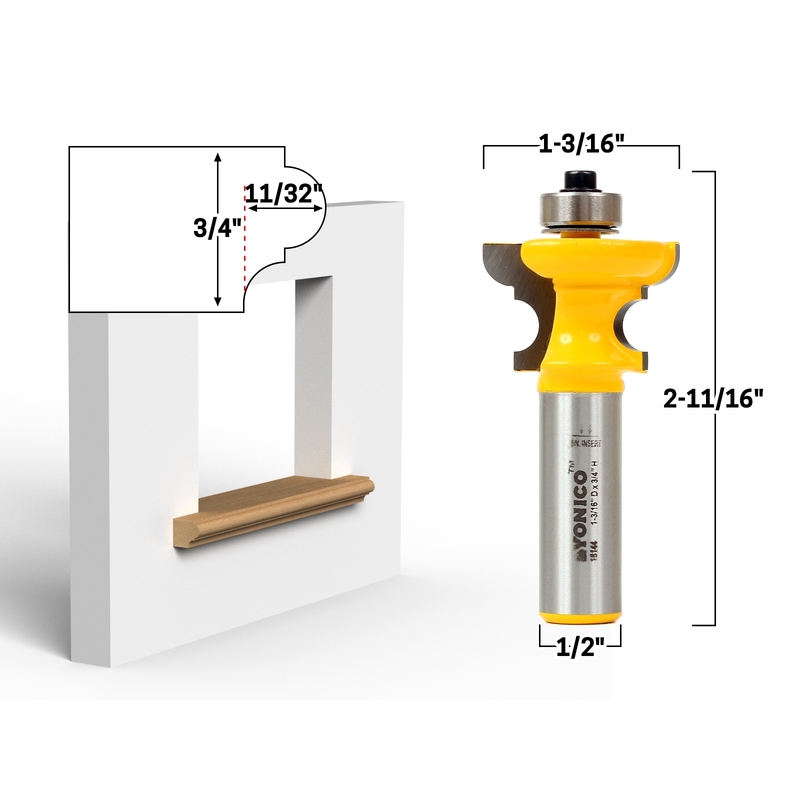 The bit's overall length is 2-11/16" and the shank is 1/2".